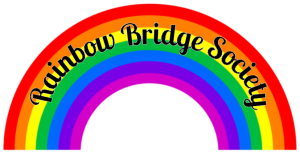 The Rainbow Bridge Society recognizes all those who have notified us they have included the Lycoming County SPCA in their will or another deferred giving plan. Arrange your estate to leave a gift to the Lycoming County SPCA. Life Insurance policy beneficiary designation. Inform the Lycoming County SPCA that you have made the necessary arrangements. * Donors who have indicated that they have made a gift of $5,000 or greater to the Lycoming County SPCA will publicly be recognized as a member of the Rainbow Bridge Society.